The video assistant referee has landed – bringing Black Mirror-style strangeness to the stuffy world of English football. Premier League fans haven’t been this divided about refereeing decisions since, well, every single other refereeing decision in the history of the beautiful game. The idea was that VAR would solve disputes in seconds, instantly giving argumentative blokes in the pub absolutely nothing to talk about. However, somewhat unsurprisingly, recent events mean the same blokes have put their differences aside and started to row with robots instead. Is this what the future was meant to look like? Paddy Power has had a bit of fun in their latest Twitter spot, reimagining a world where VAR is used in everyday life. 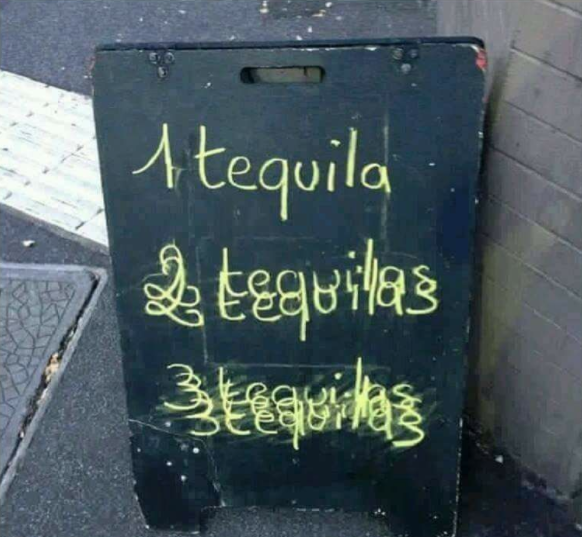 Ah Tequila. Think sun rising, think South America, think… desperately trying to keep one down in a cheap nightclub in Swansea. In Monday Funday’s experience, one tequila is more than enough. This London pub has proved that simple content is often the most effective. Using nothing more than a blurry design effect they managed to tap into Monday Funday’s psyche – sparking dangerous memories of student nights out and karaoke bars from yesteryear. The famous theorem states that if a team of monkeys worked on typewriters for eternity, they would sooner or later unwittingly reproduce the works of Shakespeare. What if you gave those same chimps a case of champagne, a pack of Cubans and a corporate boardroom to run riot in? There is only one way to find out, watch this funny spot from employment website CareerBuilder from back in 2006.